So, let’s just jump into it then! 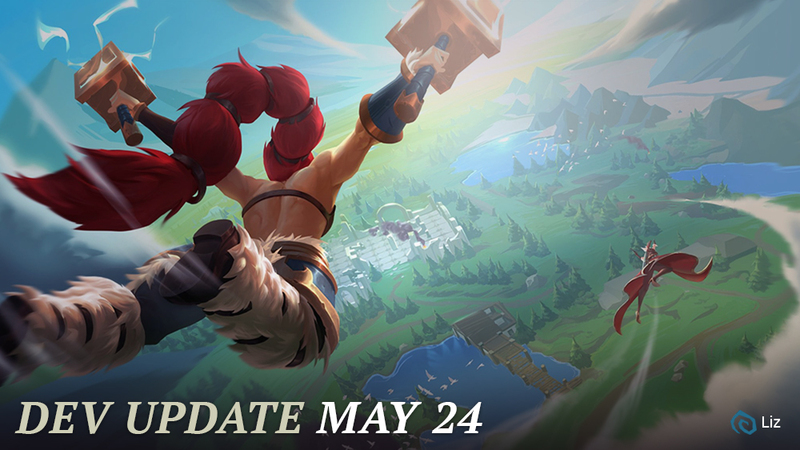 How will you balance champions for Battlerite Royale? Right now the plan is to have a separate team balance Royale as needed. 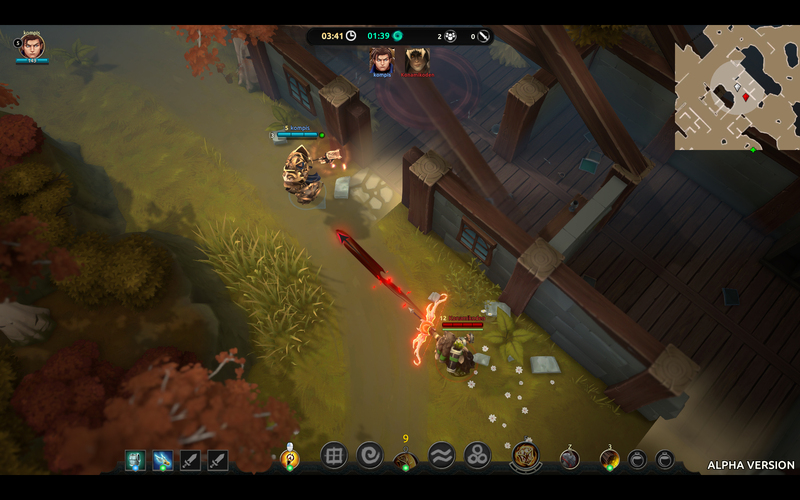 Balancing will be based on the items and consumables found during the game, while Battlerites and abilities are a bigger task for the team and need more work. What is the intended place for Battlerite Royale? Battlerite Royale is not meant to replace Arena in any way, shape, or form. The Arena is very competitive and intense – it relies on skillshots, baiting out abilities, counters, and outthinking your opponent just as much as outplaying them. Mistakes mean a lot in Arena and for new players this can be discouraging, especially when hopping into queue for the first time. 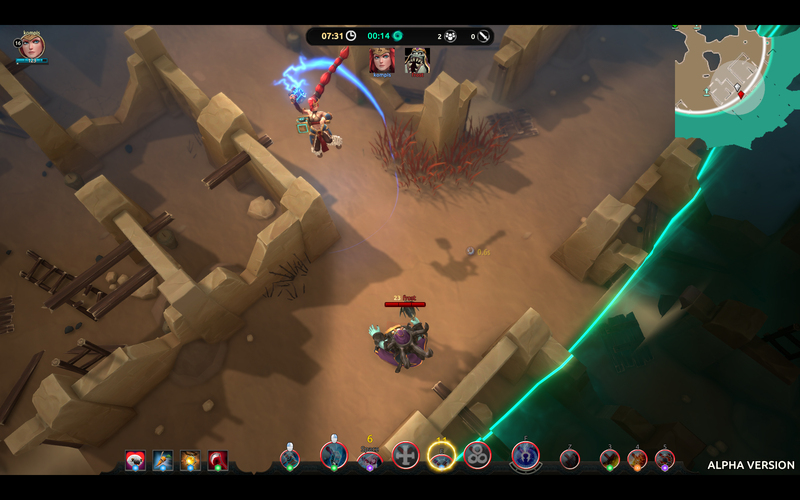 Battlerite Royale is meant to be a more relaxed experience compared to Arena. This isn’t to say that Royale is not competitive or intense, because it is. Skill will absolutely still be a factor. But it is less punishing to new players, allows for downtime between action and a chance to adjust to circumstances. What will players start with and what can they find? Keep in mind that Royale is still early in its development and there are many things that can change. For now, all players are going to start with their M1 and Ultimate abilities (your energy meter will be empty). So you won’t be completely bare when you first drop onto the island. From there, the rest of your Champion’s toolkit will need to be scavenged. It is possible for an ability to drop more than once, so even if you’re searching in places you know other players have been it’s possible to still find abilities you’re missing. Though it would be really challenging, it is possible to win the game with an incomplete toolkit! Besides finding abilities, you can also find equipment and consumable items. Equipment items increase certain stats, your movement speed, your health points, etc. They’re static and cannot be upgraded, but come in different tiers of strength and effectiveness. Consumables are items that can be activated for use, such as healing potions or shield potions. There are fun and powerful items that can be used, and they change up the traditional gameplay significantly. We’ll have another Dev Update in the near future that will go more in depth about both Equipment and Consumable items. 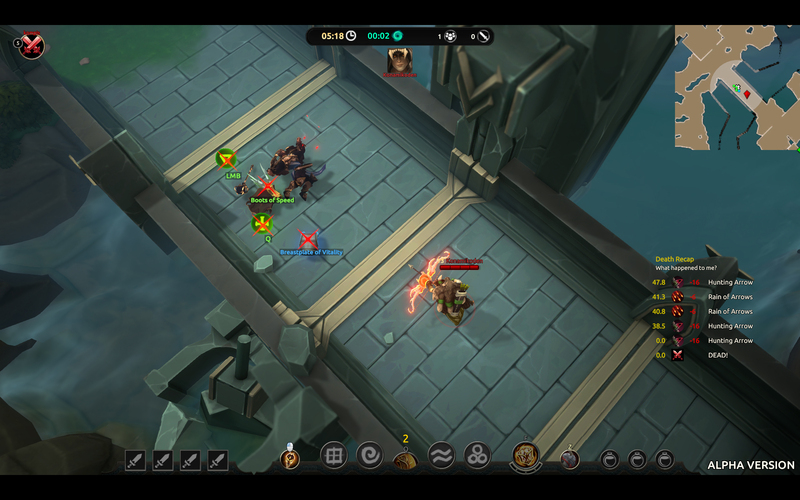 Finally, the last thing you can find in Royale are Battlerites. So how do Battlerites work in the game? As stated before, Royale is still in development and the following setup is subject to change. As it stands now, at the beginning of the match you’ll select your Battlerite loadout. This loadout will be available for you to use right from the beginning just like in Arena (although you’ll have to find the abilities they go with). If you find Battlerites during the match, you will receive an additional random Battlerite for your Champion – so you’ll end up running around with more than the usual five! Give more examples of items! We will! There will be another Dev Update in the coming weeks that will be on items – equipment and consumable. How does health work in Battlerite Royale? Champions begin with 50% less max health than in Arena. Health can be increased beyond the initial starting maximum by finding certain items during gameplay. Say more about the map! It’s going to be big! Besides being big and having various locations to explore and search, there will also be weather effects that the art team has done an amazing job putting together. 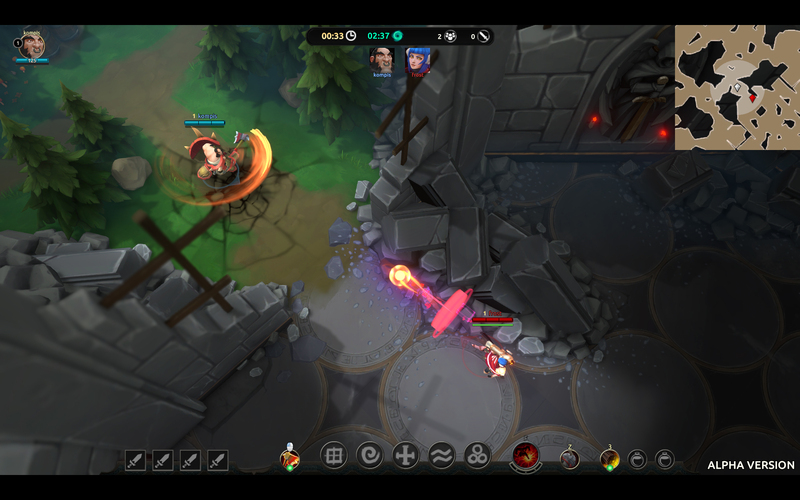 Environmental hazards were discussed during the initial planning of Royale, but optimizing, scaling up the experience, and keeping the core gameplay intact was deemed a priority. It’s an idea that can still be played with, however, and has not been completely abandoned, and we don’t know if this will make it into the first version of Royale. We did say that more lore would be coming soon, but you’ll have to wait a little bit more on that as our art team continues to work on crafting the Battlerite world. And that’s all for now, folks! There’s a lot more to share and a lot more to show, but there’s a time and place for everything.